Fuel Costs Are Down, So Why Are Airfares Still Up? You’re probably paying less at the gas pump than you have in months, maybe in a year, and your home heating oil is probably down, too. 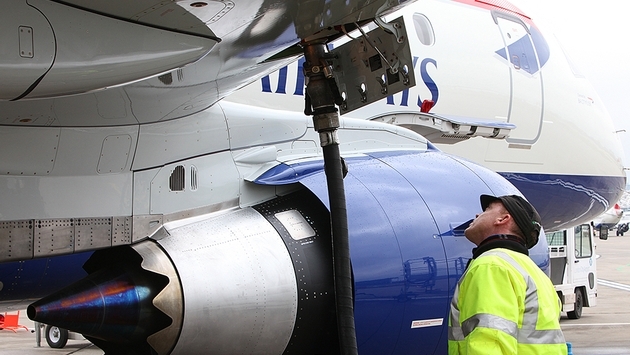 So if fuel costs are dropping, why aren’t airfares? So why aren’t airlines dropping their fares in the wake of lower fuel prices? According to the Associated Press, from Oct. 1, 2013 to Sept. 30 of this year, domestic airlines used 16.2 billion gallons of fuel at an average cost of $2.97 a gallon, down 10 cents a gallon from the previous year. That dime saved the airlines $1.6 billion. In fact, fuel prices are expected to drop even further, as the AP reports United Airlines estimates it will pay $2.76 to $2.81 a gallon during the last three months of the year. Will it spike again? Who knows. Uncertainty in the Middle East among oil-producing nations always makes for an unstable situation. But there are other reasons why the airlines aren’t passing along the savings. For one, they are passing along the savings – to their investors. Airlines are in the midst of record profits, and several have been able to announce dividends based on those quarterly reports. Second, the airlines are re-investing in themselves. 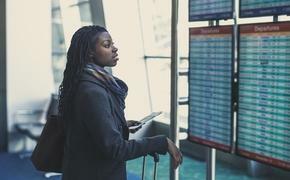 According to the Washington, D.C.-based airline lobby group Airlines for America, carriers spent $10.2 billion through the first nine months of this yeara on capital improvements to their planes, terminals and company infrastructure. Moreover, the last five years have seen more than 10,000 new orders for planes from Airbus and Boeing. But the bottom line is, airlines aren't cutting prices because they don't have to. Speaking on the Willis Report (video embedded below), TravelPulse founder Mark Murphy said, "People are willing to pay it. As long as they're willing to pay it... they're going to continue to collect that toll." This is a peculiar time for airlines. They normally fight a losing battle but this is a perfect storm – low fuel prices (traditionally their biggest expense) and high demand. Quite simply, it’s a moment they can milk for a while.